Former Maine Gov. 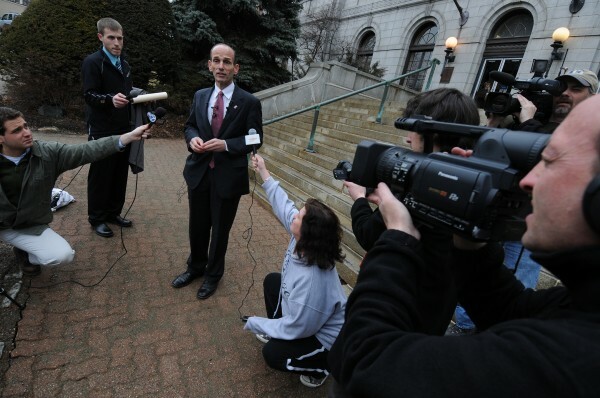 John Baldacci held a press conference on the steps of Bangor City Hall Wednesday, March 14, 2012, announcing he would not seek a seat in the U.S. Senate. BANGOR, Maine — Former Gov. 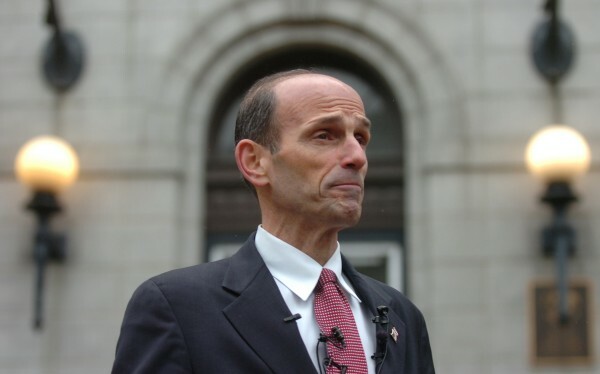 John Baldacci announced Wednesday that he would not seek the U.S. Senate seat being vacated by Sen. Olympia Snowe, saying it was “time for me to come home to Maine” after several decades in public office. Speaking to reporters outside Bangor City Hall, the two-term Democratic governor said he initially felt “very compelled” to enter a race that could have national implications as Democrats attempt to retain control of the U.S. Senate. But ultimately, Baldacci said he could not commit himself or his family to spending another six years in Washington, D.C., after his current contractor position within the Department of Defense ends later this month. A Bangor native, Baldacci served eight years in Congress before being elected governor in 2002 and again in 2006. He and his wife, Karen, moved to Holden after leaving the Blaine House while their son, Jack, is a junior at the University of Maine in Orono. He indicated that he hoped to remain in public service but had no specific plans. Baldacci’s decision is the latest development in a Senate race that has seemed to change almost daily since Snowe — a three-term Republican with considerable sway in Washington — shocked Maine’s political establishment by withdrawing from the race. A moderate Republican, Snowe has decried the current level of partisanship in Washington, sentiments that Baldacci echoed on Wednesday. Former Gov. Angus King — an independent and Baldacci’s predecessor in the Blaine House — shook up the already tumultuous Senate race a week and a half ago by declaring his candidacy. Two days later, Democratic 1st District Rep. Chellie Pingree announced that she had decided not to run, leaving Baldacci as the best-known Democrat openly considering a Senate bid. U.S. Rep. Mike Michaud, a Democrat who represents Maine’s 2nd District, also opted to focus on defending his current House seat after briefly entertaining a Senate run. Four other Democrats plan to seek the party nomination: Rep. Jon Hinck of Portland, former Secretary of State Matt Dunlap of Old Town, Sen. Cynthia Dill of Cape Elizabeth and home builder Benjamin Pollard of Portland. All four had declared their candidacy before Snowe dropped out of the race. Some observers have predicted that King’s lingering popularity with both independents and some Democrats could pose problems for even well-known Democratic nominees. That struck fear in some Maine progressive circles of a repeat of the 2010 gubernatorial race, when conservative Republican Paul LePage won with 38 percent of the vote after Democratic nominee Libby Mitchell and independent Eliot Cutler split the moderate and liberal votes. 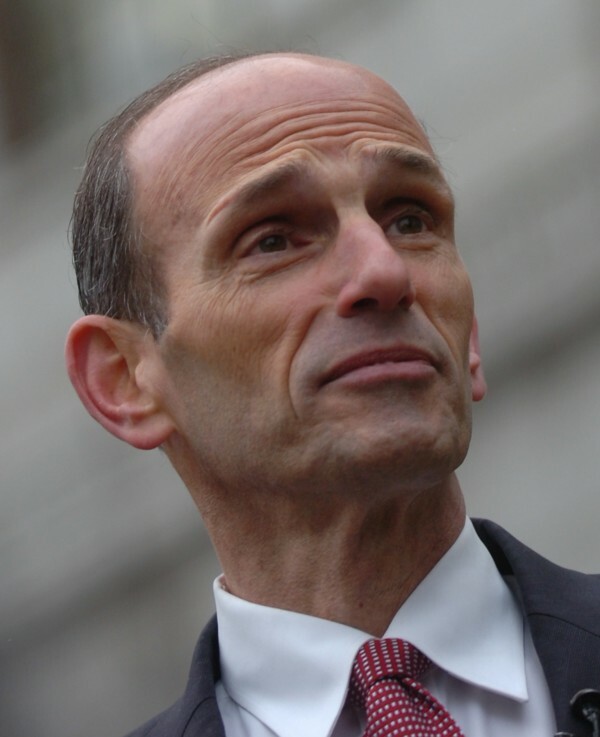 “King’s decision to enter created a strong independent candidate that complicated the electoral calculus, and the leading Democratic contenders decided this was going to be a much more difficult race than they thought at first blush,” Anthony Corrado, a professor of government at Colby College, told The Associated Press. But Baldacci said his decision was not influenced by King or any other candidates. In fact, he said he had been looking forward to a potential campaign against King and was encouraged by the feedback he had received as well as his initial polling numbers. He had collected more than the 2,000 signatures needed to qualify for the ballot. After considering the implications of a six-year term, however, Baldacci said he came to the realization that “this is the right decision for me and my family.” He reportedly came to the decision late Tuesday night — so late, in fact, that he was unable to secure space inside Bangor City Hall on Wednesday, resulting in a press conference being held in the cold and damp in front of the building. Lizzy Reinholt, spokeswoman for the Maine Democratic Party, said it is too early to say who will be on the June primary ballots for either party, much less forecast the November election. She described all four Democrats still in the race as strong potential candidates but added that party leaders always expected the Senate contest to be competitive. “There is a lot of attention on the horse race right now. But at the end of the day, this campaign is going to be about issues,” Reinholt said. Major party candidates have until 5 p.m. Thursday to deliver 2,000 petition signatures, which must be validated, to the secretary of state’s office to qualify for the ballot. The current Republican field includes Secretary of State Charlie Summers, Attorney General William Schneider, Treasurer Bruce Poliquin, Scott D’Amboise, former Senate President Rick Bennett and Senate Assistant Majority Leader Debra Plowman. One of the four Democratic candidates, Dunlap, dropped off his petition signatures on Wednesday and said afterward that Baldacci had faced a tough decision in a tight time frame. On that question, Baldacci declined to endorse a particular candidate for the Senate seat on Wednesday but pledged to get behind the eventual party nominee. The former governor also indicated that his wife, who works with the federal Women, Infants and Children Nutrition Program, supported staying in Maine. “She reminded me about how much she loves Holden and the bird feeders and all of the walking trails for the dogs and family members. Those things are the important things,” he said. BDN staff writer Eric Russell contributed to this report. Correction: Due to a editor’s error, and early version of this story misstated John Baldacci’s town of residence. It is Holden, not Hampden.